Grenada is an island country consisting of the main island of Grenada and six smaller islands and is one of the most beautiful destinations in the West Indies. The island is located at the southern end of the Grenadines in the southeast coast of the Caribbean Sea. The yacht charter destination of Grenada is located northwest of Trinidad and Tobago, northeast of Venezuela, and southwest of Saint Vincent and the Grenadines. 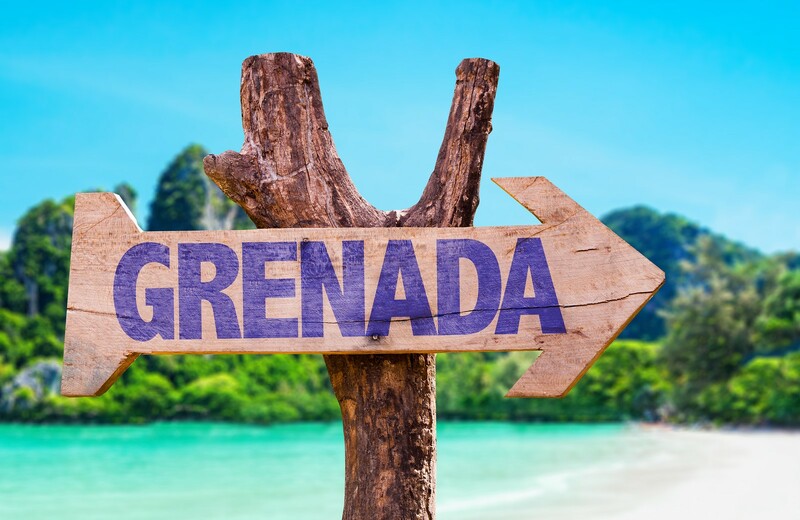 Grenada is known as the "Island of Spice" or the Spice Islands due its production of aromatic crops grown in its fertile soil such as nutmeg and mace crops of which Grenada is one of the world's largest exporters. Grenada is a popular yacht charter destination because of its tranquil sea, beautiful climate, excellent sea conditions, and beautiful beaches and provides easy access for charter yachts to the Grenadines. A three island state, the country consists of the islands of Grenada, Carriacou, and Petit Martinique. Grenada is the largest of the three, with a width of twelve miles (18 km) and a length of twenty-one miles (34 km). The total area spans 344 square kilometers (133 sq mi), with an estimated population of 110,000. The national bird of Grenada is the critically endangered Grenada Dove. The Capital of Grenada is St. George's which is an idyllic colonial port town that has been compared to Porto Fino in Italy. 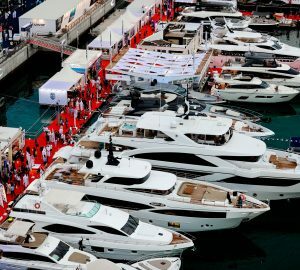 St. George’s town has a new marina called the Port Louis Grenada marina, which is designed to hold superyachts up to 90 meters in length. There are also several other yacht harbors located at the southern end of the island. Yacht charterers visiting Grenada on a sailing yacht or motor yacht often admire the beautiful beaches. One of Grenada’s best beaches is Grand Anse, where sparling white sand stretches nearly two miles bordering a wide, sheltered bay. Snorkeling and scuba diving is also a popular activity around the island or from your charter yacht with various spots around the island, including sunken wrecks and reefs. In the winter there is always a chance of a whale watching. Inland, Grand Etang National Park and Forest Preserve is a popular day trip, offering rainforest hikes around the rim of an extinct volcano. Apart from the large island of Grenada you can visit smaller islands on your charter yacht such as Petit Marynique, Caille Island, Diamond Island, Saline Island, Friagte Island and Large Island. Each of these islands has a totally unique experience to offer in terms of sightseeing attractions and activities to do on the island. The origin of Grenada is volcanic and you will see the volcanic formations in a significant part of the topography over the mountains. The climate is tropical and perfect for tourists. The virgin beaches are clean and they provide a private seclude for honeymooners. 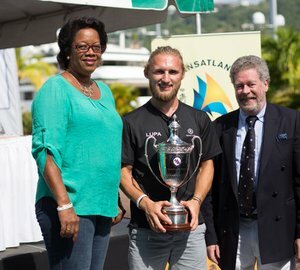 Grenada is also host to the annual boat and regatta race called the Port Louis Grenada Sailing Festival held every year in January. The Grenada Sailing Festival, in Grenada, West Indies, attracts sailing enthusiasts from all over the world. 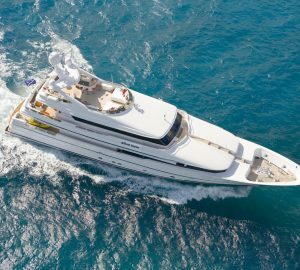 The best time of year for yacht chartering in Grenada is from November to April however it is possible to charter yacht any time of the year. Grenada also has an international airport providing easy access to begin your yacht charter. 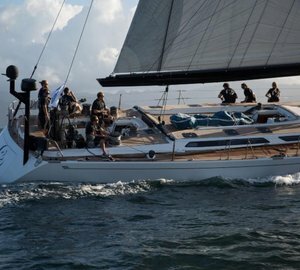 All types of yacht charters are available here including superyachts, motor yachts, sailing yachts, catamaran, monohull sailing yachts. 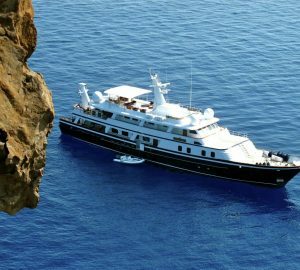 Contact CharterWorld for a full list of Grenada charter yachts, or view a small selection below. Explore Location Guides for great destinations near Grenada .